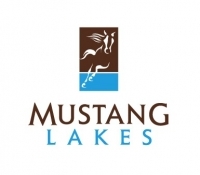 Mustang Lakes is conveniently located on Frontier Pkwy/FM 1461 in the Town of Celina, Texas, just north of Highway 380 and Preston Road, adjacent to the borders of both Prosper and McKinney. Only 3 miles north of Hwy. 380 and just a ten minute drive to the Dallas North Tollway, Mustang Lakes is perfectly positioned away from the hustle and bustle of the city, yet close enough to the best of North Dallas shopping, dining, entertainment and employment centers. Charming downtown McKinney, the “5-Billion Dollar Mile” in Frisco (home to the Dallas Cowboys, Toyota and numerous other corporations) and the sun and fun of Lewisville Lake are all within close proximity. Downtown Dallas, Love Field Airport and Dallas/Fort Worth International Airport are a convenient 35-40 minute drive away.